commented on "Introduction to butterfly gardening ..."
Create an environment in your garden with plants that attract butterflies and keep butterflies coming back. Enjoy the butterflies knowing you are benefitting your garden, increasing populations of butterflies and supporting biodiversity. 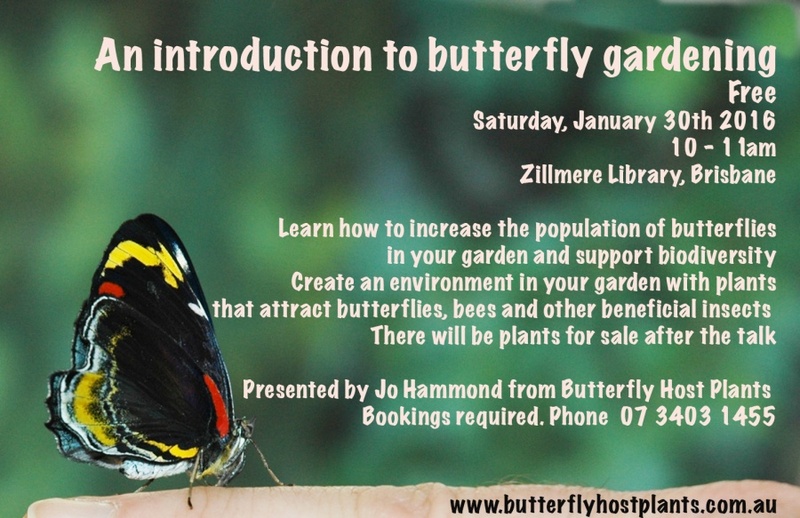 Presented by Jo Hammond from Butterfly Host Plants. Bookings required. If you would like to be put on our email list for up-coming talks and market stalls.